We focus on a holistic approach to websites and marketing. We look at your larger marketing plan, and emphasize focus on the audience desired when laying out your website. We know your website is the roadmap to guide your prospects and customers to the information and products you want to promote and focus on the simplicity of the website. 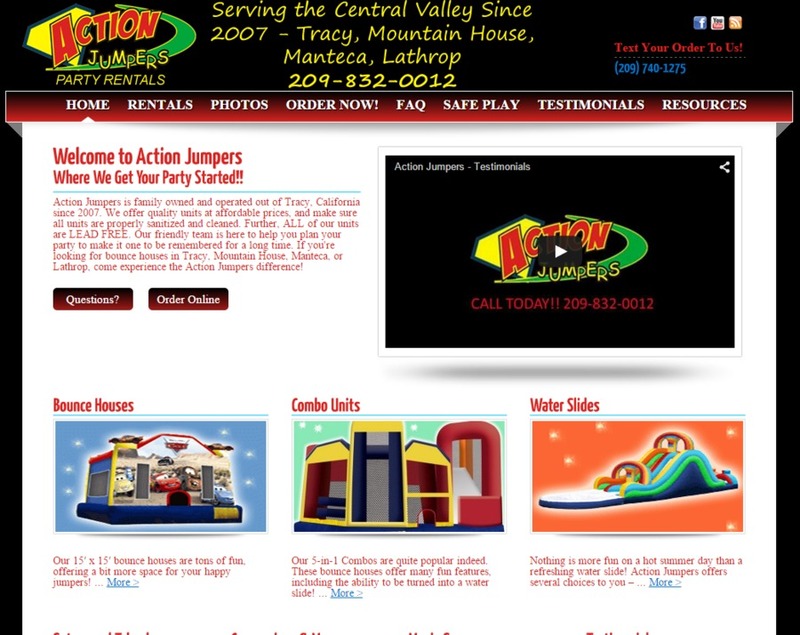 ActionJumpers.net shows our commonly recommended layouts, with calls to action, video/slideshows, 3 main areas of product focus to sell. We focus on simplicity and clean layouts that drive traffic around your website, keeping your audience in mind.